In 1993 when I was thirteen years old I was baptized. My father died that same year (a rough time for me). From my baptism onward, my desire has been to serve God. I sang in the choir for two years beginning in 1994. After that I was elected Chorale Leader and served in that role for two additional years. Mbombo Anne and I were married in 2002. My wife and I have six children, 3 boys and 3 girls. I was devoted to my church at Ndjoko Punda and became a deacon in 2004. When Dr. David arrived to mentor the youth in Ndjoko Punda, I worked with him and was elected to be the President of the youth in our church. I also served as a steward at the hospital. So I had the opportunity to work closely with Dr. David in both capacities. Stan and Brad Graber along with Fred Suter came to work on the Congo Water Project. It was my privilege to work as their Director here in Congo. My heart’s attention is drawn to advance the good work of evangelization and develop our Congolese youth. I have been preparing toward implementing this desire through my studies. The reason I came to study in Kinshasa is because of my desire to know the mind of Christ and to share this knowledge with others. 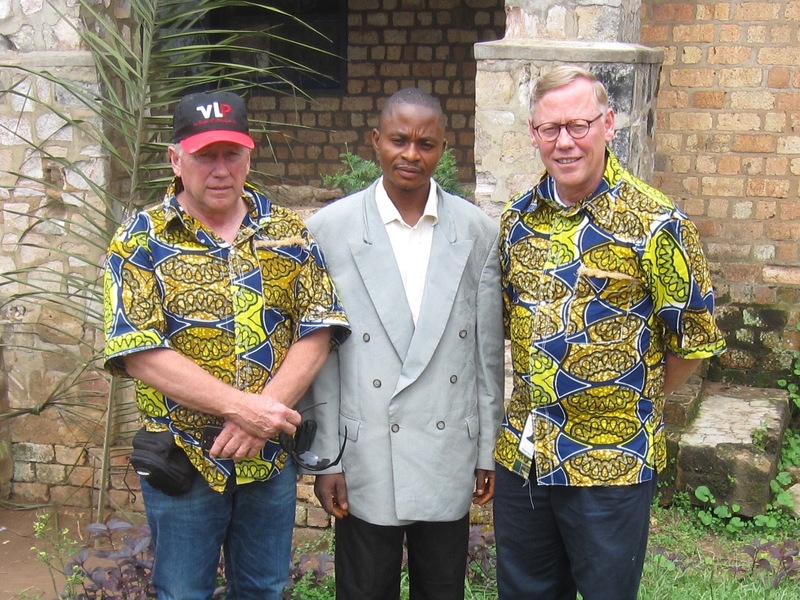 History has proven through the work of the Congo Inland Mission in Ndjoko Punda (originally the area/district called Charlesville) and the American Mennonite Church that when the Good News is preached it will bear fruit. We are summoned to continue this legacy. If Christians are awakened intellectually to study their Bibles they will see God’s Word provides the best way to live. I hope to raise awareness among the Christians in Ndjoko Punda in particular and in the larger district community in general. Thank you Kalenga. It warms our hearts to read of your service from a young age and of your continued desire for growth. May God richly bless your studies and fulfill His desires for your ministry. May He also bless and protect your family. Regarding future testimonies: We have been awaiting the arrival of Joseph’s testimony, another young man we’ve helped to support. However, we recently received word that he has been sick. Please join us in praying for Joseph’s recovery.